Between basting the turkey and mashing the potatoes in preparation for Thanksgiving on Thursday, why not take some time to view some of the historic documents that set the stage for the annual holiday? Plymouth Massachusetts was home to the first Thanksgiving celebration in 1621, and Massachusetts libraries have the resources to provide insight of that special celebration. In 2012, with support from an LSTA grant administered by the MBLC, the document was preserved at the Northeast Document Conservation Center (NEDCC) in Andover, Massachusetts. In addition to Bradford’s book the library has digitized copies of the Mayflower Compact, the list of Mayflower Passengers, and an account of “Thanksgiving 1621”. All of these digital resources are easily accessible to download and view here: http://archives.lib.state.ma.us/handle/2452/208249. 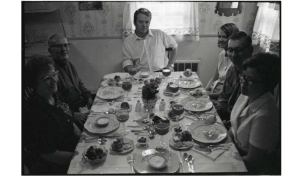 If you are celebrating Thanksgiving in Plymouth, you can stop by the Plymouth Public Library’s local history room to find out more about the first settlers and their histories. The Bartlett Room “houses the Plymouth Public Library’s collection of over 1200 items relating to the descendants of the Mayflower Pilgrims, as well as the many other immigrants who settled in the area.” In addition, the library’s website has digitized photos of the Plymouth Tercentenary Celebration. The photos and more information about the Bartlett room can be found here: http://pplma.omeka.net/welcome. On behalf of the Massachusetts Board of Library Commissioners, we wish you and yours a very Happy Thanksgiving! We’ve just completed a procurement process for the next set of statewide databases, a fifteen month long odyssey. There were moments that put me in mind of those old shopping-themed TV game shows. Some days we were contestants on Supermarket Sweep, as we frenetically raced the clock to put as much quality content in the cart as possible before the bell rang. At other times, we were competing on The Price is Right, guessing at that ineffable figure, the actual dollar value of a database. But it was no game, and there were no big prize winners at the end. With a 30% reduction in funding we knew right from the start that the results of our efforts were going to be bittersweet. We are proud of what we accomplished, and Massachusetts libraries will continue to have a strong core set of databases. But we also know that we have lost access to some very important products; our shared resources are that much smaller. Where Do We Stand and How Did We Get Here? Beginning July 1, Massachusetts libraries will have the same three vendors and a set of database products that looks an awful lot like what we have today — just diminished. Some of you may wonder, “Why all the sound and fury then? Why the big process?” Are we complacent, taking the path of least resistance? Maybe we lack the courage to try something new or maybe we have a hidden bias in favor of the incumbent vendors and familiar products. Though we heard from many libraries and invited input along the way, including a month-long open trial and vendor demonstrations to representative stakeholders, our decision-making process may look like a black box to many of you. Without going into the gory details, here is what the procurement looked like from the inside. Who exactly sets the stage and makes the final procurement decisions? 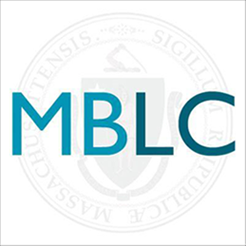 MBLC and MLS, with a sprinkling of Library for the Commonwealth. These three organizations have worked hard to complement each other’s offerings. With shrinking budgets and other critical priorities we can’t afford not to. Though I’d like to think we would anyway. MBLC appointed an advisory committee of ten very smart and knowledgeable librarians from academic, school and public libraries to help guide us through this process. 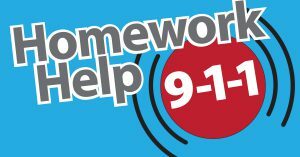 They were content specialists — the ones doing bibliographic instruction, working with teachers, students and the general public every day. Their contributions were incredibly valuable. They each represented their own library types’ interests but showed great sensitivity to how different products would be valued by users of all types of libraries. Not an easy thing to do. They analyzed product titles to gauge full-text content, overlap, uniqueness and value. I came out of the process with tremendous respect for their skills and experience, and I am grateful that they were there every step of the way. Thanks guys! We first began to experiment with databases for all regional members twenty years ago. Gale/Cengage, then Information Access Company, was our first provider with some general periodical content. Since that time we have run five procurements and have contemplated many approaches. We’ve considered targeted solutions for different library types: school-centric products for schools, more specialized databases for our academics and special libraries, local newspaper products only available to parts of the state. We’ve tried creating a market basket, where preferential pricing was offered for libraries or groups wishing to supplement what the state could offer. Five years ago, we managed to expand the subject areas and types of resources, asking for genealogy and language learning products, both general and specialized encyclopedias. Though the genealogy and language products didn’t pan out, we were able to add a general encyclopedia for the first time. We have to find products that appeal to all types of libraries. The scope of the our procurement is determined by usage statistics and surveys. Usage statistics are necessarily limited to current product offerings. However, when establishing the procurement scope, we only use these statistics to draw inferences about subject coverage, not about particular titles from particular vendors. The only exception to this rule is The Boston Globe, a specific title. A large library survey in the spring of 2016 gave us broader insight into library preferences. Why Do We Always Seem to End Up with the Same Vendors? The answer is fairly straightforward. They have consistently provided the best value for the Commonwealth. It doesn’t mean that this will always be the case. In the past we’ve disqualified vendors because they could not demonstrate the capability to roll out services statewide, work with our statewide login process (geolocation for users in Massachusetts) or set up 1,600+ library accounts. They couldn’t provide interoperability with library discovery systems and knowledgebases, provide granular usage statistics and related management tools. Not this time. All six vendors were sufficiently qualified. We try really hard to be objective and open to new solutions. I know that I get enthused about new products, new platforms, new vendors. I also like to see the progress that familiar companies have made with their user interfaces. From one procurement cycle to the next, the three big periodical vendors, EBSCO, ProQuest and Gale seem to leapfrog past each other in user interface design and usability . This time around all three main platforms were really solid, with contemporary interfaces providing excellent user experience. That hasn’t always been the case. From the library community we hear competing interests. 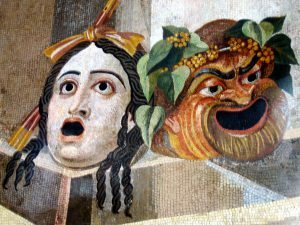 Some academics have urged us to license EBSCO so they can repurpose their limited budgets. Public libraries and schools may not want us to change vendors because then they would have to extensively retool and retrain patrons. There is no alchemical mixture of intangibles at work here. As with any rigorous procurement, we use weighted score sheets to evaluate the various components of each proposal. Content (which is weighted most heavily), organizational qualifications, technical qualifications, ability to license to all our users, all are evaluated and quantified. Cost is the last factor we look at. It is important to remember, we can only evaluate what the vendors propose. Sometimes librarians will ask why we didn’t license a particular product. Often the answer is, “It wasn’t proposed”. Sometimes products are simply out of scope. Sometimes proposed packages don’t provide enough valuable content to schools, or academics, or even to public libraries. Sometimes there is not a good business case from the vendor perspective. We can’t afford to replace the large base of existing academic contracts for products like Academic Search Premier from EBSCO. EBSCO has indicated that a statewide offering this comprehensive would be way beyond our means and so they don’t propose it. Thus, academic libraries see they will need to keep their EBSCO contracts, but they also find tremendous value in Gale Academic OneFile as a complement to their own locally-licensed content. The Globe is the Globe. We reached out directly to both the Boston Globe and New York Times, but they declined to bid. For the Globe, ProQuest was the only game in town. Encyclopedias – World Book and Britannica were both highly esteemed products. Britannica appealed more to public and academic libraries, as World Book seemed more targeted to K-9. At the end of the day, Britannica had the broadest appeal, and was the product that we could afford. So here we are, entering a new fiscal year with old friends. We ended up here for good reasons. Maybe next time around things will turn out differently. Opening Day is getting so close you can start to feel it; the days are getting longer, the snow is melting, and the air is getting warmer. Pretty soon we’ll be back to the pennant race, but for now there is still more time to wait until the first pitch. To fill this gap, you can find books, pictures, newspaper articles and more from your local library to satisfy your baseball needs until opening day rolls around. Because baseball is the sport that best lends itself to literature, reading may be the best way to get excited for the new season. Baseball has been the muse for countless authors since its earliest days as a sport. Concord resident and Historian Doris Kearns Goodwin’s memoir “Wait Till Next Year” tells her story of growing up in New York when the Dodgers, Giants, and Yankees all competed for the city’s loyalty. “Ball Four” is former Yankees pitcher Jim Bouton’s diary of the 1969 season as he tried to restart his career with the expansion Seattle Pilots as a knuckleballer. Bernard Malamund’s classic “The Natural” is probably more famous for its film adaptation starring Robert Redford, but the book (Malamund’s first) is just as good. All of these books and many more baseball classics can be found through the Commonwealth Catalog. If the early history of the game is what piques your interest, you can find information and artifacts through Biblioboard’s baseball anthology. It has early rules, how to guides, pictures, and histories to educate and entertain you. You can find more of Boston’s baseball history at the Digital Commonwealth. 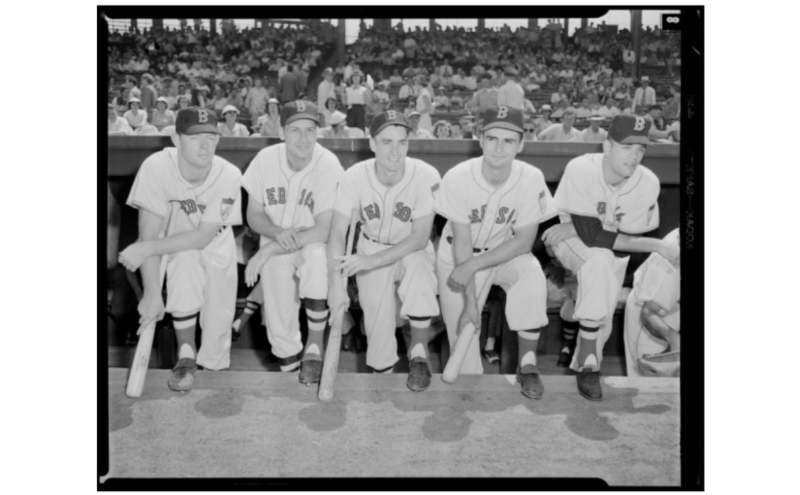 Search through old photos of the Red Sox, the Boston Braves, and the teams that have visited Boston to take on the hometown teams. If all of this isn’t enough, and you just want to relive the recent Red Sox glory days, head over to www.mass.gov/libraries and search through the archives of the Boston Globe to take yourself back to 2004, 2007, and 2013, and feel like you’re winning the World Series with the Sox all over again. We hope that you enjoy these fun resources all season long as you kick back with some peanuts, Cracker Jacks, and root, root, root for your home team. What’s all the Buzz about Audiobooks? What is the fastest growing segment of the publishing industry right now? According to an Audio Publishers Association sales survey, it is audiobooks. What is even more exciting is that libraries are taking notice too, and there is an expanding collection of audiobooks available for Massachusetts residents to enjoy for free. Through the Commonwealth eBook Collections (CEC) and other services offered through your local library, you can borrow and listen to hundreds of today’s top titles. All you need to access these titles is a library card! To listen to audiobooks through the CEC, visit www.commonwealthebookcollections.com and simply search for the title you’re looking for. In addition to audiobooks, you will also find eBooks and other digital resources that you can use. 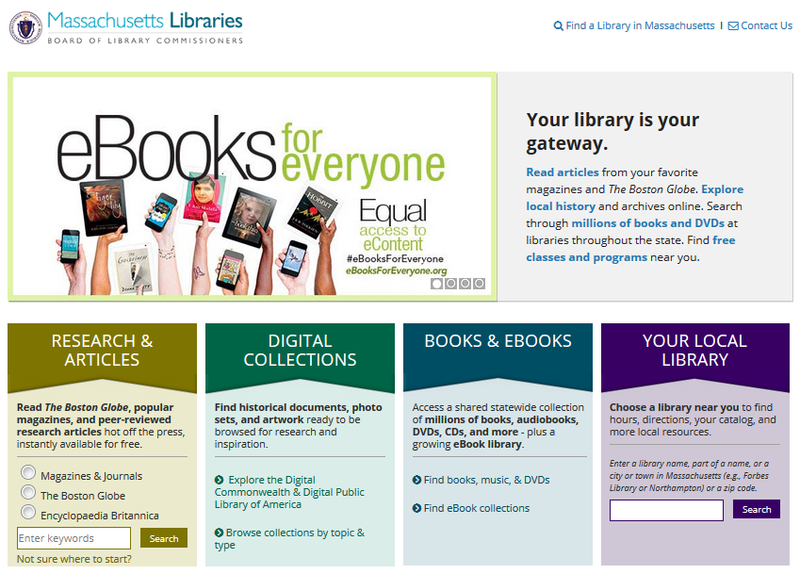 If your library is not a member of the CEC, visit the Boston Public Library’s website to learn how you can access their digital materials as a Massachusetts resident through their role as the Library for the Commonwealth (http://www.bpl.org/collections/downloadable.htm), or contact your local library and they will point you in the right direction to begin listening to your favorite books. Now, when you are preparing for a road trip, doing yardwork, or just looking for something to listen to around the house, you can enjoy some great audiobooks courtesy of your local library. Happy listening! Posted on November 21, 2016 April 8, 2019 Author Matt PerryCategories Resource SharingTags Audiobooks, ebooksLeave a comment on What’s all the Buzz about Audiobooks?